Back story: Jennifer ellen Cook toured the country in her teens with her band Go Dog Go!, one of the NYC New Music Seminar's "Best New Bands." Her next endeavor was the critically acclaimed 1990s Austin pop band, The Wallflowers, who released two albums before bowing to pressure from Jakob Dylan & co. and selling their name for a small amount. That was the proverbial straw, and the band broke up. After a hiatus, Cook began performing again as a solo artist, first acoustically and then with rhythm section Julio Figueroa and Nathan Lynch. Cellist Graham Miller joined, followed by Carey Howard joined on trumpet, fulfilling two of Cook's longtime dreams (cello and trumpet!). The band has released one full-length album and three singles, available on iTunes and Reverbnation. Indie Sounds NY: "Originals that combine their love of rock, grooves, '60s soul, old jazz, and good songs in general. 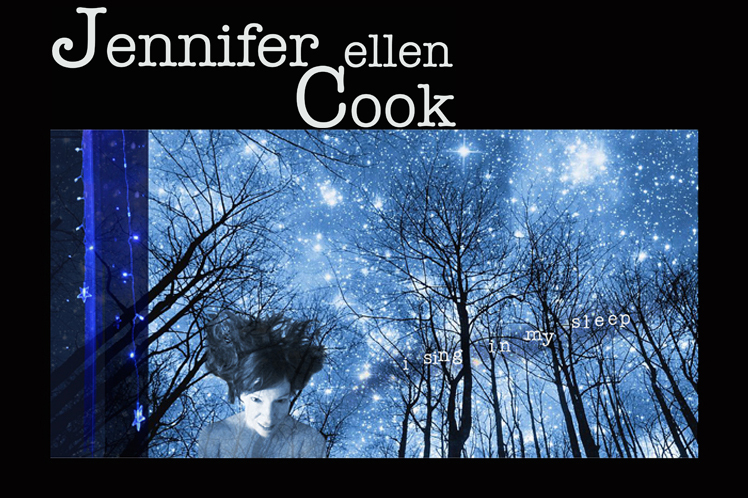 Singer/songwriter Jennifer Cook is known for her amazing voice, shining stage presence, and rapport with the audience. One observer described her as Sheryl Crow meets Jessica Rabbit." Linus Gelber, SXSW/event photographer: "On my last night in Texas I'm out at Antone's. Her music is a sly, teasing, lightly-wicked affair, restless and bright. This is an easy-to-like band that takes funky midtempo rhythms and pops them up into rounded rock numbers. There's some listening, and some dancing, and some drinking, and it all fits together. Jennifer is sharp and present and has a great voice, and it's hard to keep your eyes off her."